The Bichon Frise has a long history and is considered part of the Barbichon breed types. This referred to the ancient dog breeds that made up a clan of little white dogs and includes the Bichon Frise, Bolognese, Maltese, and Havanese. The Spanish used the bichon breed type as sailing dogs and brought them to Tenerife, which is the largest island of the Canary Island, and where they became known as the Bichon Tenerife. They were also popular with Italian nobility in the 14th century. However, it was the French that developed the Bichon into the gentle lap dog we know as today’s Bichon Frise. The AKC first recognized the Bichon Frise in 1971 and it gained full breed recognition in 1973 as part of the Non-Sporting Group. The Bichon Frise is a companion dog through and through. They have a gentle and playful temperament. They love to cuddle and play and are very good with children and other pets. Bichons have a happy-go-lucky and friendly personality. They can make good watchdogs, but are more interested in making friends than acting as a protector. The Bichon Frise is highly adaptable. They are a small dog that does best in a house with a fenced-in yard. They can adapt very well to apartment living as long as they get plenty of exercise and attention. Bichon Frise can adjust to just about any lifestyle as long as they can spend time with their families and don’t have to spend a lot of time alone. They do well in most climates. As with most dog breeds, care should be taken in extreme hot or cold climates. The Bichon Frise is a generally healthy dog breed. There are some health concerns to be aware of like allergies, bladder infections, cataracts and other eye diseases, and patellar luxation. Reputable breeding can cut down on some of these health issues. Checking the genetic history of the parents and asking to see any relevant evaluations can also allay some of these health concerns. A Bichon Frise loves to learn and loves to perform, which generally makes them easy to train. 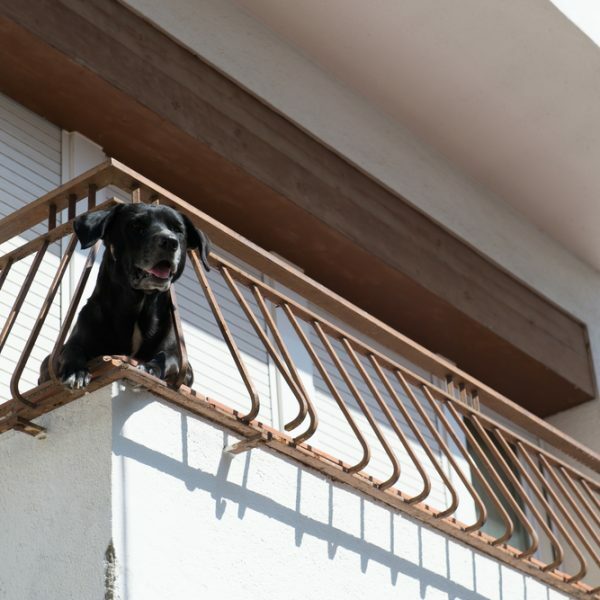 Although they have a reputation for being difficult to housebreak, they respond very well to training with positive rewards. It’s important their training stays positive. They have a sensitive, gentle nature and harsh or negative training methods tend to be ineffective and can damage the bond you have with your dog. As with all dogs, early socialization is important for a puppy to grow into a well-rounded dog. Although the Bichon is relatively easy to train, puppy training classes are recommended, especially for novice owners. Common coat colors are light, appearing as white, white & apricot, white & cream, or white & buff. This dog breed’s coat is long and curly. It’s known for being soft to the touch and hypoallergenic. Daily brushing is ideal to keep their coat looking its best, but 2-3 times a week will be sufficient in a pinch to prevent matting. They also need to be bathed and clipped once a month. Some owners learn to do this themselves while others take their dog to a professional groomer. 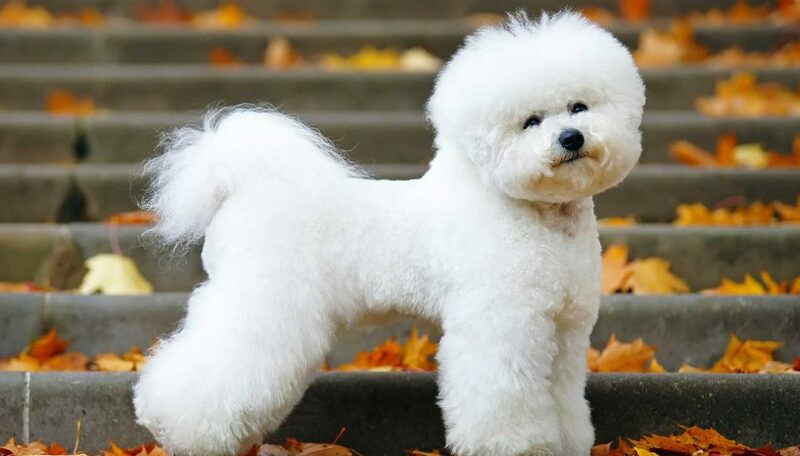 In addition to their coat, you will want to clean your Bichon Frise’s eyes and ears regularly to keep them clean. Their nails should be trimmed monthly and their teeth should be brushed regularly. Daily tooth brushing is ideal. It’s important to get your puppy used to having their mouth, ears, and paws handled to make regular care easier as they grow. The Bichon Frise has a moderate activity level on average. They are known for having sudden, short bursts of high energy. You may find your Bichon suddenly racing around the house or yard during one of these energy bursts. Although some may seem to last a while, the Bichon Frise is a small dog and will tire out soon enough. Daily walks and regular play sessions will help your pup get plenty of exercise. This dog breed is also a good fit for training in dog sports like agility, rally, and obedience. They also enjoy working as a therapy dog. In between these high-activity bursts, your Bichon will prefer napping or cuddling with you. This dog does not like to be left alone for long periods of time. A bored or lonely Bichon Frise can start to exhibit undesirable behaviors like whining, barking, or chewing. A Bichon Frise generally stands 9-12 inches tall at the shoulder and weighs between 7-16 pounds. This dog breed generally lives 12-15 years. The Bichon Frise makes a number of appearances in Goya’s paintings. The Bichon Frise is a Companion Breed with Hypo-allergenic properties. The Bichon has a spunky and happy disposition. This breed is very adaptable and is easily suited for a apartment setting. The AKC first recognized this breed in 1975 and it remains a popular breed to this day.